What’s Your Berlin Wall? What Keeps You From Achieving Your Dreams? 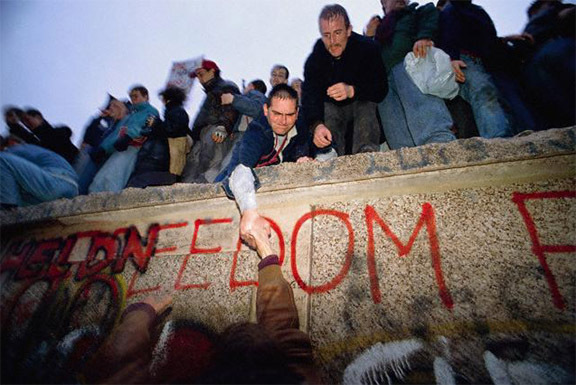 Twenty years ago today, the Berlin Wall fell. I remember it like it was yesterday. As a 19-year old university student in Grand Rapids, Michigan, I watched the event unfold on TV in the residence hall lounge, along with dozens of others who had gathered around. Where there had been 50 years of hopelessness and despair in Communist East Germany, there was at once hope and joy. Today, there’s a piece of the Berlin Wall in a museum just a few miles from my house. What once stood as a symbol of governmental oppression and kept people from fulfilling their dreams, now stands as a shining reminder of the desire that all people to be free – free to live the life they want, free to pursue their dreams. Do you have any “Berlin Walls” in your life today? 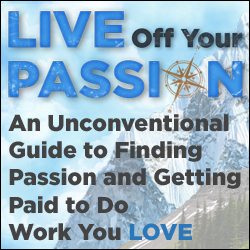 Is there anything that is holding you back and keeping you from living the life of your dreams? Maybe there’s a wall that others have constructed that is keeping you from your dreams. Parents, teachers, a spouse or friends who told you you’d never amount to anything, you can’t achieve your dreams, or you can’t live the life you’ve always wanted. Maybe there’s a wall you’ve built yourself, brick by brick, that is keeping you from the life you want. Bad habits that keep you down, negative self-talk that keeps reminding you of past failures. Fear that keeps you from taking that first step. Identify the obstacles – give them a name. Understand where the obstacles come from – were they made by others or by yourself? Decide right now that you’re not going to let these obstacles stop you anymore. Make a simple plan how you’re going to go over, around, or through the obstacles that stand in your way. It could be as simple as just two or three things that you know you need to do, the next time that obstacle stands in your way. Take action – just do it! It always amazes me how some obstacles, which seemed so huge at first, often become so small once we take bold action to overcome them. What obstacles stand in your way today? What can you do right now to defeat them? Please share your thoughts and ideas in the comments below!